Despite dealing with injuries and change throughout the season, the Rangers were pretty strong throughout the season at the blue line. There’s a nice mix of defensive players and guys with a bit of offensive flare, and if they all stay healthy next year, Alain Vigneault should have himself another year of shutdown defensive play. In his first year as captain, Ryan McDonagh dealt with two injuries and battled through a broken foot in the Eastern Conference Finals. Next year should be better as he grows more comfortable in his leadership role. Photo courtesy of MSG Photos. The 2013-14 season for Ryan McDonagh was the best of his career, establishing himself as a potential Norris Trophy candidate, and a jack of all trades defenseman, strong on both sides of the puck. He established himself as a leader in the locker room after the trade of then captain Ryan Callahan, and earned himself the captaincy in for the start of this season. Like the rest of the team, McDonagh got off to a bit of a slow start. The Rangers were dealing with change on the blue line from the first game of the regular season, starting with Dan Boyle breaking his hand against the Blues. McDonagh didn’t have much more luck, suffering a separated shoulder a few weeks later in a game on November 1st against the Winnipeg Jets. That kept him out of the lineup for over three weeks, and seemed to bother him for another week or so. The shoulder injury, combined with the stress of being a first year captain definitely got to McDonagh at first. He’s always been a quiet leader, and the captaincy may have put him out of his comfort zone at first. He wasn’t as strong defensively as last year, and was not putting up points as consistently. As the season continued, and the Rangers began streaking through the winter months, McDonagh seemed to fit in better, seemingly more comfortable with his shoulder and his new role as a leader. He wasn’t trying to do everything like earlier in the season, and his performance improved. He finished the regular season with 33 points (8-25-33), and while it wasn’t nearly as good as last year’s fantastic season, it was a solid season. His increased role as captain was a tough transition at first, but he eventually grasped the concept of how to lead. His late season success carried over to the playoffs, where he was very strong through the first two series, playing great defensive hockey in the close games, and scoring some huge goals in the process. He was a big reason for the Rangers’ success and series wins against Pittsburgh and Washington. In Game 4 against the Tampa Bay Lightning, McDonagh suffered yet another injury, breaking his foot while blocking a shot at the end of the second period. Despite that injury, he managed to finish out the series, but it limited his effectiveness over the last three games. For his first year as captain, dealing with injury and lofty expectations for his team, McDonagh handled everything relatively well. It was a bit of a struggle at first, but he grasped the concept of how to lead in his own way. 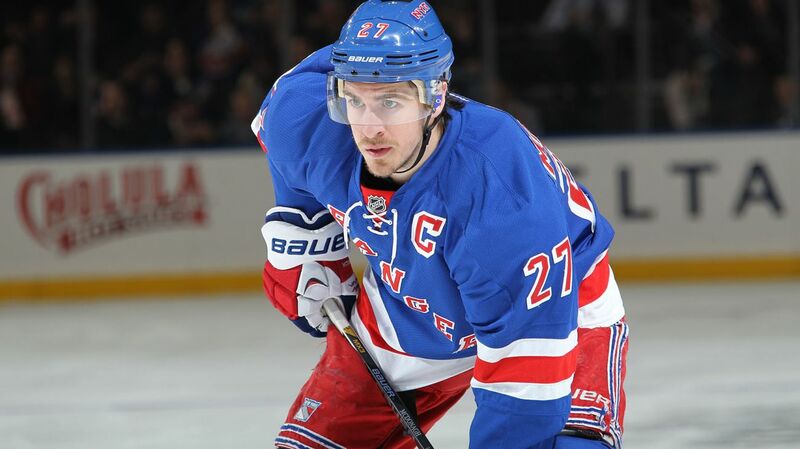 Now that he has that first season out of the way, I think that we will see the Ryan McDonagh from 2013-14 return. Dan Girardi really stepped up at times throughout this season, especially when the Rangers were dealing with injuries. He was great in the first two rounds of the playoffs, but ultimately injury and a very good Tampa Bay team was too much to handle. Photo courtesy of MSG Photos. Dan Girardi has been a mainstay on the Rangers blue line since making his debut in 2006. You know what you’ll get out of the stay at home defenseman. He’ll never blow you away with offensive production, but for the most part, he’s a very reliable defenseman that can shut down opposing team’s top players and is never afraid to get down and block a shot. Girardi was a monster in the regular season. After Dan Boyle’s injury, which shook up the Rangers’ defensive group, Girardi immediately stepped up and took heavier minutes and responsibilities. When Ryan McDonagh was injured against the Jets, he became the number one defenseman, had an even bigger role, and handled it flawlessly, playing over 30 minutes a game on a lot of nights. 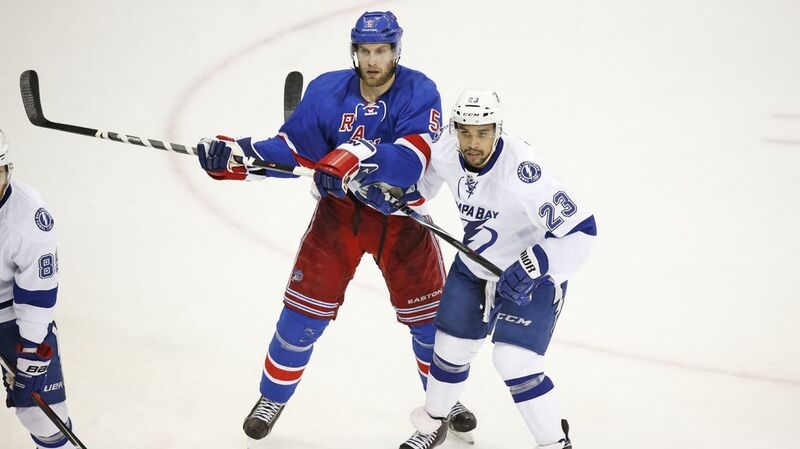 He was a staple on the penalty kill, paired with Ryan McDonagh both at even strength and on the penalty kill. He was also on the power play, scoring just one goal on the man advantage this season. This is a role that doesn’t really suit his strengths, and I think Vigneault should save him for defensive purposes. In the playoffs, like with McDonagh, Girardi was a monster in the first two rounds. He plays best in the slow, defensive types of games, where it’s a more physical, grind it out style of play. That’s exactly the type of game that was played against the Penguins and Capitals, and Girardi was very strong. He continued to block tons of shots, throw the body, and shut down players like Sidney Crosby, Evgeni Malkin, Nicklas Backstrom and Alex Ovechkin. Against Tampa, Girardi was not as effective in this type of play, which was very speedy, full of counter attacks and skilled play. Also, he sprained his knee in this series, and had to have surgery to remove fluid on his ankle after the Rangers were eliminated. A lot of proponents for analytics tend to say that Dan Girardi is not a good player. Girardi is not the type of player that suppresses shots, or drives possession, or puts up a lot of points. But honestly, that’s okay. You need a balance of puck movers and strong defensive players on the blue line, and Girardi is the latter of those kind of players. Throughout the season, he stepped up in the face of adversity, answering the call of duty and performing admirably. He struggled against Tampa Bay mainly due to the incredible amount of speed and skill throughout the lineup. The quick pace was not the type of game that he does well in, and he was also injured. Girardi’s grade would be higher if he didn’t have as many turnovers that led to goals. He’s not a great puck mover, and struggles a bit when it comes to the transition game, but when his positioning is on and he’s playing at his best, there’s not many guys better defensively. 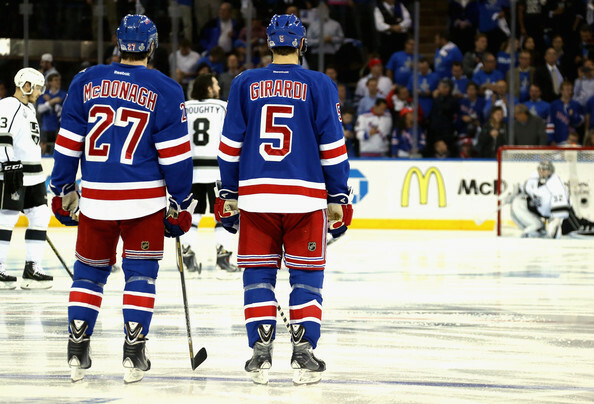 Posted on June 7, 2015, in In the Crease and tagged Dan Girardi, Dan Girardi Ankle, Girardi, Madison Square Garden, McDonagh, MSG, New York Rangers, NY Rangers, NYR, Rangers, Rangers Nation, Rangers Player Grades, Rangerstown, Ryan McDonagh, Ryan McDOnagh broken foot, Ryan McDonagh captain, Ryan McDonagh Injury, The Garden. Bookmark the permalink. Leave a comment.